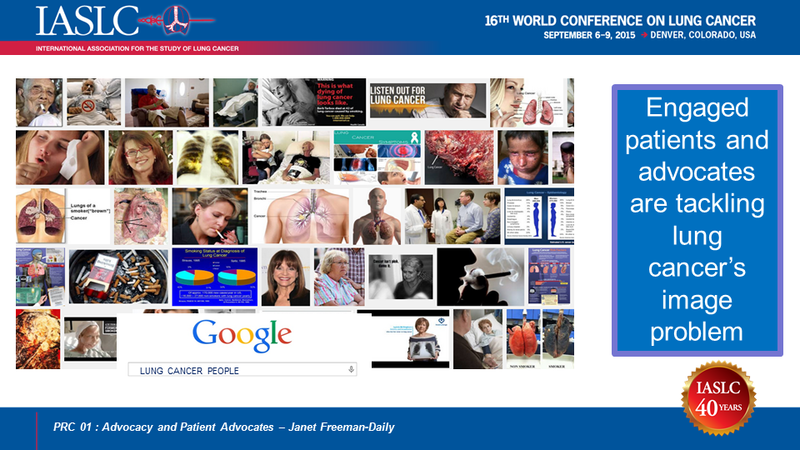 I’m excited to announce that I have been asked to speak on June 5, 2016, at a dinner symposium titled “NSCLC Forum: Bringing the Patient to the Foreground of Evidence-Based Lung Cancer Care.” It’s sponsored by PeerView Press (a medical education provider) and GRACE (a web resource for cancer patients). This is an evening event concurrent with ASCO 2016 Annual Meeting in Chicago, usually called just ASCO. ASCO (short for American Society for Clinical Oncology) is the world’s biggest cancer conference—just you and 35,000 of your closest friends. 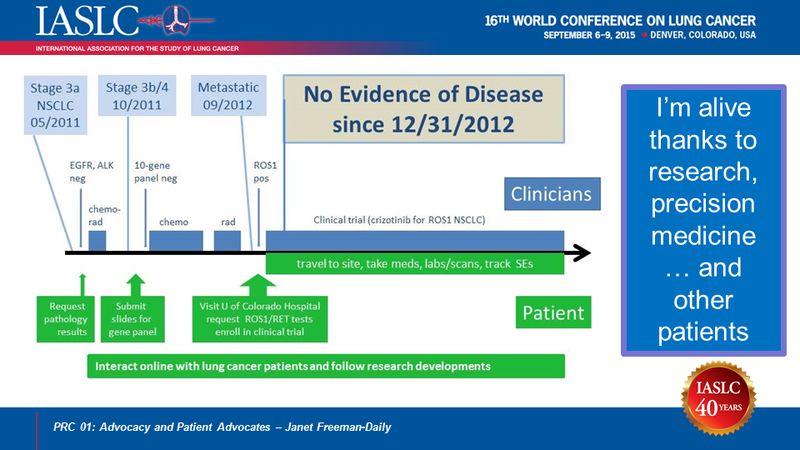 Attendees hear about results for cancer clinical trials along with prevention, diagnosis, survivorship, policy, advocacy, and oncology career info, and explore a huge exhibit hall. Last year I clocked five miles a day just walking between sessions! 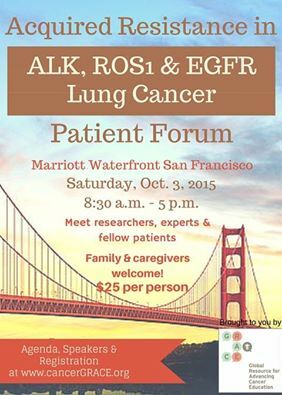 I’ll be talking about using social media to improve outcomes for lung cancer patients. The meat of the program includes case studies presented by four research oncologists (including, coincidentally, my Denver oncologist Dr. Ross Camidge), and panel discussions. PeerView tells me this may be the first time a patient has been the lead speaker at an ASCO CME (Continuing Medical Education) program. I’m honored that the sponsors and my fellow speakers believe I’m up to the challenge. At my request, PeerView modified their registration form so patients and caregivers/advocates can register for this event. If you’d like to see me speak, you can register (no charge) to attend in person (and have a free dinner starting at 6:30 PM Central) or watch the live stream online (starting at 7 PM Central). The recording will be available later on the web (I’ll share the link when it’s posted). Several other evening events (including the ASCO President’s Reception, alas) will be competing for the attention of ASCO attendees at the same time, so please attend and help fill the seats. Hope to see you there! 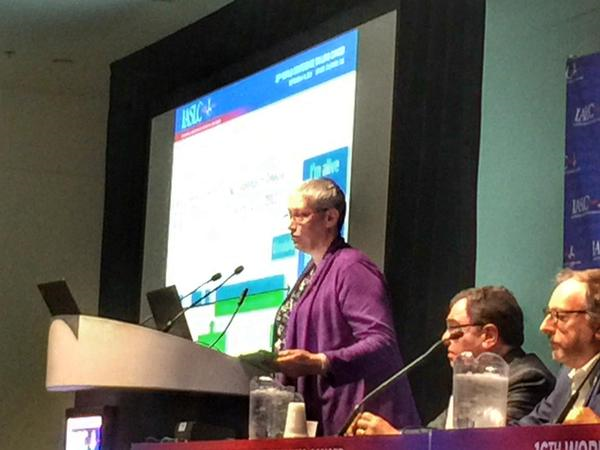 The unedited, uncut version of the 2-hour webinar in which I spoke at ASCO 2016 is available here. You must register, but it’s free. My talk begins at about 2:40, and runs about 10 minutes. An edited version will be available soon. As Lung Cancer Awareness Month (November) grows nearer, patients and advocates become more focused on how to raise awareness of our disease. But what should we say to have the most impact? What “talking points” and tips do successful advocates use in writing, interviews, and public speaking? The October 22 #LCSM Chat at 8 PM ET (5 PM PT) will discuss the most effective ways to share our patient and caregiver stories as we work to raise awareness of our disease in the media, online, and in person. Although our focus will be on lung cancer, the concepts will be applicable to advocates for any cancer or serious disease. 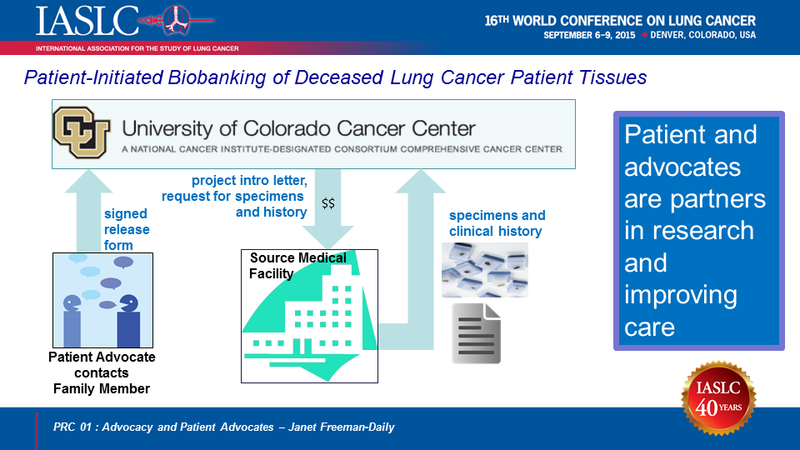 Our moderator will be Janet Freeman-Daily, who has spoken to patient groups, industry, researchers, medical meetings, and the President’s Cancer Panel. Other experienced advocates such as LUNGevity’s Katie Brown (@brownbeansprout), lung cancer blogger Tori Tomalia (@lil_lytnin), and breast cancer survivor Casey Quinlan (@MightyCasey) will also share their knowledge. Which aspects of your #cancer experience do you include when sharing your story? How do you make it an interesting narrative? 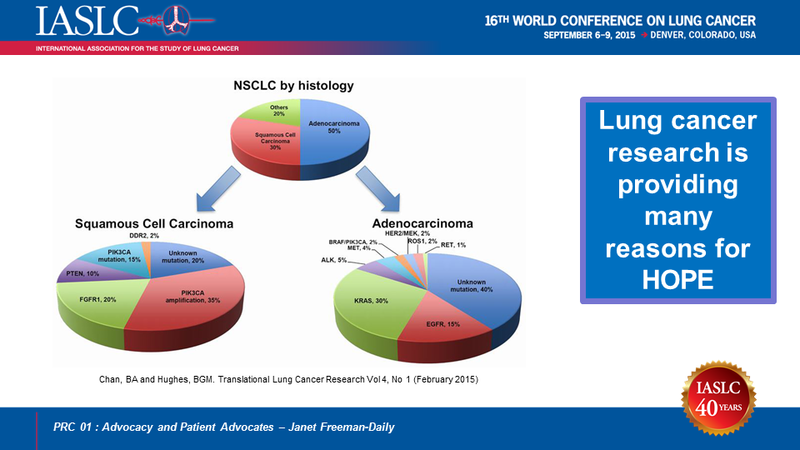 What key facts about #lungcancer do you ensure you weave into your story? Does this change over time? 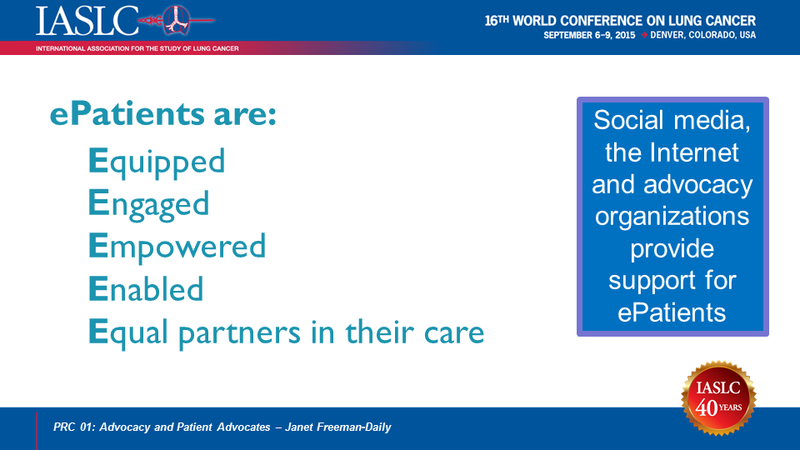 Any tips for tailoring an advocate presentation to different audiences, article/speech length, or types of media? How do you make contact with potential speaking, online and print publication opportunities? 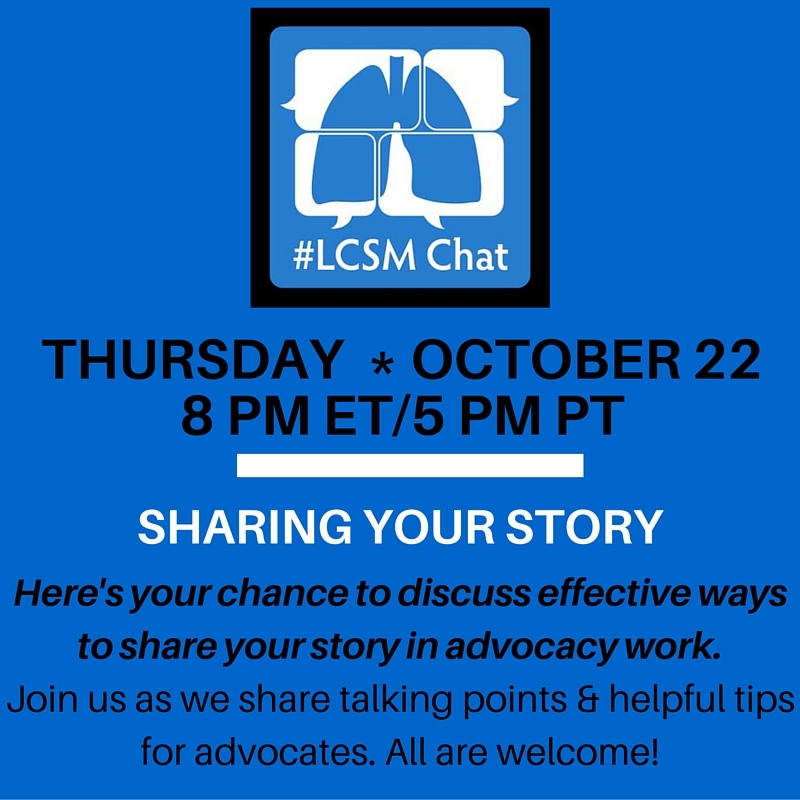 For a primer on how to join #LCSM chat, check out How to Participate in LCSM Chat. 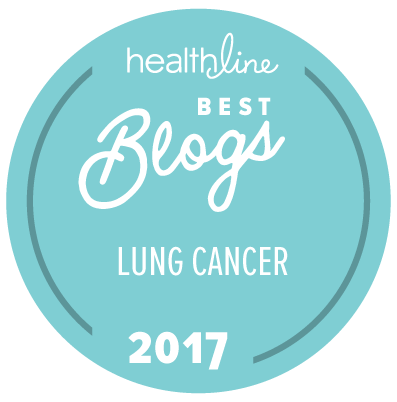 This content was reblogged from the LCSM Chat website (with permission).